Quimsa Cruz Mountains, the name comes from Aymara Idima meaning “Tres Cruces”. 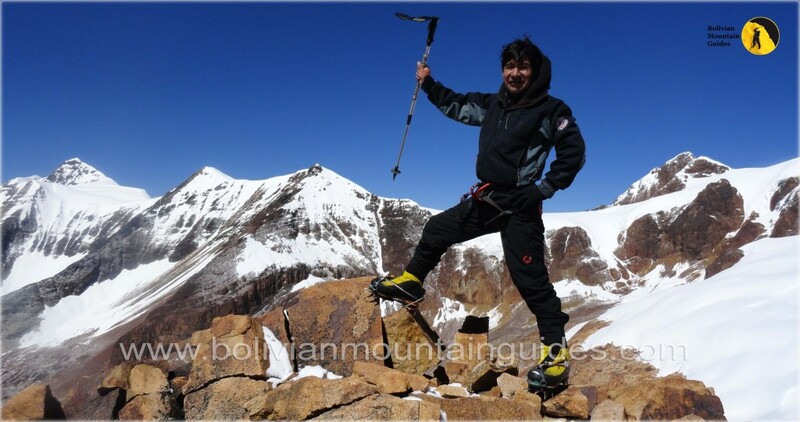 One of the rarely visited mountain ranges, however its nature offers much for the adventure activity. This entry was posted in News and tagged Andean Summits, bolivia mountaineering, bolivian mountain guides, climbing bolivian mountains, hiking bolivia, ice climbing, Quime, Quimsa Cruz Mountains. Bookmark the permalink.